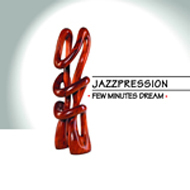 The Few Minutes Dream offers a wide range of styles and genres from lyrical and evocative ballads to songs featuring upbeat saxophone and piano solos and popular Swing and Latin tunes. Although stylistically diverse, all the songs are the manifestation of the intimate creative relationship of five individual musicians formed during an intense period of joint pactice and play. The members of the band (Sándor Tóth – sax, Péter Sárik – piano, János Lutz – contrabass, Béla Ferge – drums) met at Liszt Ferenc Academy of Musical Art, Budapest. After graduation they became popular jazz and session musicians. During the years they have been playing together in different bands but this jazzpression formation provides the most for each them. The course of continous playing together was the origin of their own compositions which give the unique Jazzpression sound. The compositions are different from the American style as more and more European classical and folk elements appear in their music which requires deep concentration and coordination in this style. 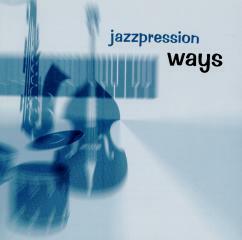 They consider as their mission, to make more people aware of their music and instill an interest in jazz.